BLACK FRIDAY: Get 50% Off Botox By Diamond Status Injector! 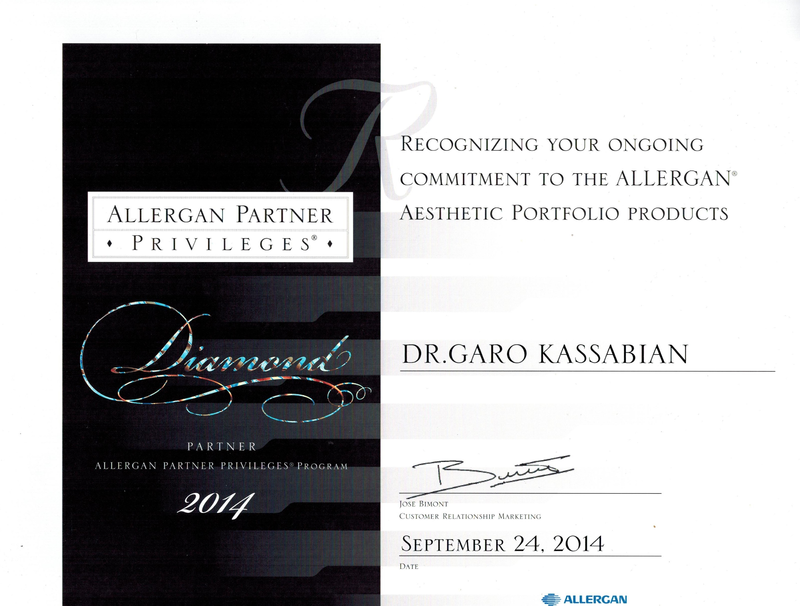 The Diamond Status Award from Allergan. 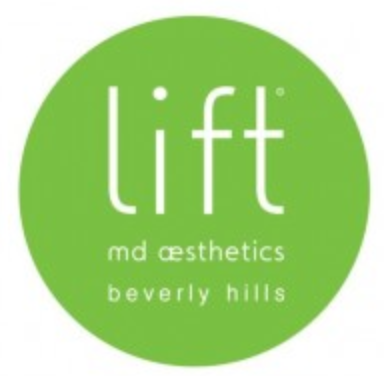 Lift MD Aesthetics was recently honored with the prestigious title of Diamond Status by Allergan which is the company that manufactures Botox, Juvederm and Latisse. Only the top 1% of Allergan’s thousands of accounts through out the country are honored with this title. A Diamond Status title means that Allergan has acknowledged that the physician and practice a standard of excellence that can be trusted and accounted for! Look as good as you feel and know that you are being treated by the best! 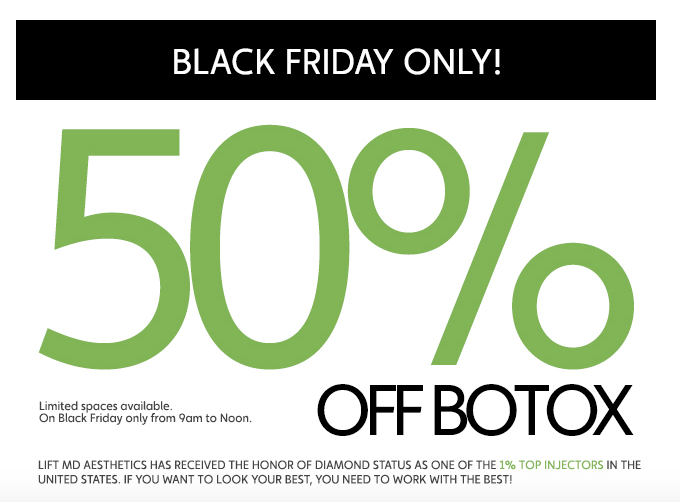 Also, just from 9 AM until Noon on Black Friday, Lift MD Aesthetics will be offering Botox for 50% off. Appointments are limited so call now to reserve your space and get the holidays started looking fabulous! Call 310-285-0400 to make your appointment today! ‹ PreviousGet Party Ready in No Time! Next ›Lift MD Holiday Gift Guide!